Ahhhh OK. So if you only see one line of red stakes you could reasonably assume that the stream bank/ bush/trees on the "outside" of that line are part of the penalty area. Then in my scenario above, the ball bouncing off a tree was still within the penalty area, and so the ball only crossed the hazard line once (when it left the fairway.) Point "X" would thus be on the fairway side of the hazard. The extended-line-from-the-pin relief would probably not work (it would normally extend into the penalty area), but the two-club-lengths relief would probably be fine. Have I got it right now? Thanks for the replies. So I guess if the ball in the graphic above had crossed the water, struck the trees, and bounced back in, the point X would be on the far side of the lake, with relief areas areas 2 and 3 also on the far side. Is it not common for the areas on the far side of lateral hazards to be pretty unplayable (stream banks/bushy/wooded) and so the only practical course of action would be to play a provisional, in anticipation of stroke-and-distance, which I thought the new rules were trying to avoid as much as possible, for pace-of-play reasons? Or is that where the local rule mentioned by @RemyM could apply? Where would such a rule be indicated? Hi everybody, Two quick questions: A stream runs parallel to the fairway, and I hit a ball that crosses the stream on the diagonal, hits a tree on the far side, and bounces back into the hazard. Where the ball first crossed the hazard line is quite close to me, and where it last crossed (after the ricochet) is on the far side, further from me but closer to the green. According to 2019 rules, where do I drop? Would this be the same as when a ball crosses water, hits something, and bounces back into the water from the far side? E.G. When playing an approach shot or par-3 over water. Hi all, After years of playing I still hit at least 5 or 6 real chunks every round I play, and there is no worse feeling (for me) in golf. It's the one shot that will have me giving up the game. I believe it is because I struggle to shift my weight/pressure forward through the ball, especially on the course where one cannot always be sure of a comfortable stance. I can swing through onto my front foot in my practice swing without a problem, but put a ball there and the "hit instinct" kicks in ....... I have searched extensively on the internet and there is a ton of information/videos about how important it is to shift your weight forward into your follow-through, how all good ball strikers do it, and how it should look, and so on. But that's generally where it ends. In other words, a huge amount of "this is what you need to do," but not so much of "this is how to to train yourself to do it." This is such a common fault among newer golfers/ high handicappers, so I would like to hear from the instructors here what has assisted their students in the past where a lack of weight/pressure shift forward has been identified as causing fat shots. I understand that without video it cannot be absolutely certain that this is my priority, but if it was, what feels/drills have helped you or your students with this problem? I think the lost ball/OB local rule is going to be a nightmare. Say for example a golf tries to play the ball over a dogleg left, and ends up pulling it into the trees/bush of the dogleg itself. Now he has to extend an imaginary line from the pin (which he may not be able to see) through the estimated position of the ball, and back towards the tee. Then he has to extend a 2nd imaginary line from the pin (which he still cannot see) through the bush/trees of the dogleg, to intersect the edge of the fairway at a point a little further from the pin than the ball. (The intersection on the pin side of the corner is no good as it would surely be much closer to the hole.) Given that this rule is actually written for the golfer who will need to apply it often (non-elite), can you imagine just how long all of this is going to take (perhaps multiple times per round) while the player plods around in the rough to try to establish the one line, then walks (in some cases) halfway across the fairway to establish the other line, and then ponders exactly where to drop the ball? If he drops on the fairway he may still be blocked by the dogleg, while if he drops from the rough he might be able to play through a gap, but from a poor lie. Should the law not be simplified to just say "Drop the ball within 2 club lengths of the closest edge of the fairway in play, which is not closer to the hole." P.S. I don't understand the graphics posted above with regard to my original question. As I read it, the rule calls for both lines which define the drop area to originate at the hole? How would the lost ball/OB rule apply in the case of a ball flying over a green which is at the boundary of the course, and then being lost/OB on the far side of the green. The penalty drop would then be closer to the hole? Or would you have no other choice but to replay the shot? How are these stats to be interpreted? Driver technology is focusing more and more on maximizing distance on off-center strikes. 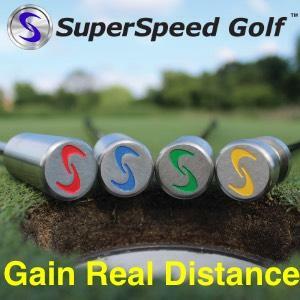 This would surely shift all players' average driving distance up closer to their maximum distance, but without necessarily increasing that maximum all that much? On the other hand, if these figures represent the average of every player's longest drives, would they not be achieved under special circumstances, e.g. down hill and down wind? So those longest drives are not the norm. And would they not be cancelled out when those same players then have to play back up hill and against the wind on adjacent holes? To my mind its not (yet) about maximum driving distances, it's more about the score. When tournaments are being won with scores of -25 to -35 then I would say courses are being overwhelmed. But in the -10 to -20 range I think it's fine: plenty of birdies and a few eagles to keep the excitement up, and also to give an opportunity for someone to "come from behind" and catch the leader. Thanks for the prompt help. Much appreciated. Ahhh, thanks, I guess I fell foul of the "less than 4 letters" stipulation. I was trying to search for "fat shots" as I fatted a few last time I played. Any suggestions for better search phrases to help me find info/drills? Ignore rust spots on iron shafts? Hi all, I have noticed that tiny rust spots have developed on the metal shafts of my irons and putter. I am afraid that trying to buff/polish this off will "open up" the rust and really cause it to take hold. Or that I would damage the shiny surface of the shafts. Any advice? Should metal shafts be lightly oiled? P.S. I live on the coast, where rust can be a problem on older vehicles, for example. Where have the club reviews gone? Hi all. Really enjoy reading the club reviews on here, but they seem to have come to a halt? When I simulate an impact position (hands ahead of the ball, hips shifted slightly towards the target) with the club face square to the target line, the club face appears closed if I then return to a more centred setup position (without changing my grip). Conversely, if the face is square at setup, it then appears open in the impact position. With some of the replies here in mind, does this mean that I am shifting too much towards the target at impact? Or perhaps something wrong with my grip? How much further, driver vs 3-wood? By the way, where did that "How far do you hit each club?" thread disappear to?